Caipirinha is the traditional Brazilian drink made with Cachaça and I can’t start talking about it before introducing you to this 100% Brazilian product. The name Cachaça (say Caxassa) can only be used to denominate the distilled sugar cane alcoholic beverage produced in Brazil. 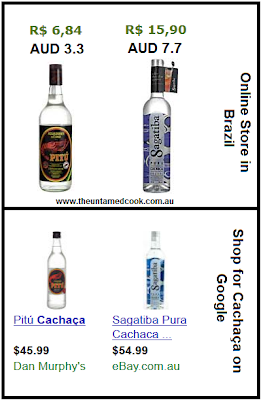 Cachaça is different from rum (that is also a distilled product of sugar cane) because rum is usually made from molasses while cachaça is made from fresh sugar cane juice. No further comments here. Anyway, next time a friend of your comes from Brazil ask him/her for a nice Cachaça Artesanal from Salinas or if you are really keen a bottle of Havana (Anísio Santiago) or Germana. A bottle of Havana aged for 8 years will cost you as much as a good bottle of Whiskey. 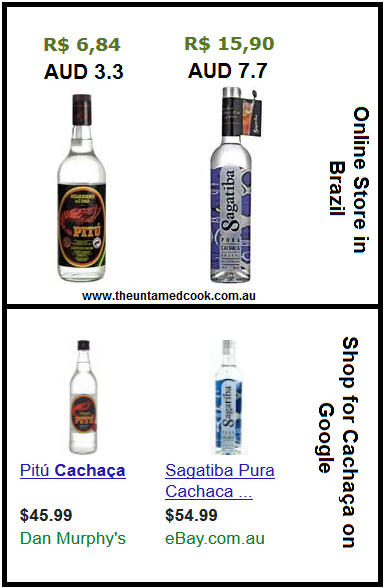 You don’t need to use an excellent Cachaça to make Caipirinha though… a bottle of Sagatiba will do the trick (although now you know you are paying more than 10 times the price you would in Brazil). You can make Caipirinha of Vodka or white Rum but is just not the same. The traditional one is with Cachaça and Lime but you can find some very creative ones with passion fruit, jaboticaba, strawberries… A friend of mine used to make an awesome one with Chillies and Ginger and I will try to put my hands in this recipe for you guys but for now, I've already spoken too much. I introduce you to the traditional Brazilian Caipirinha.